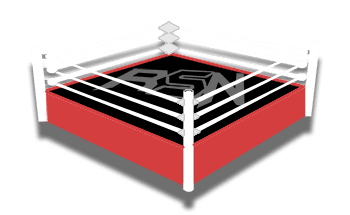 Vince Russo's The Brand Recap w/ Andre Corbiel - Reaching out to Linda McMahon, Jarrett's Selfishness, Is Del Rio a Poison to Impact? More! Russo welcomes Andre Corbiel to the show. Corbiel mentions that Jim Cornette has been recently suggesting that the former President of his fan club is the man who’s responsible for Russo getting his start in the wrestling business. Corbiel asks Russo to clear the air regarding those rumours. Russo say that he has no idea what Cornette is talking about, but there’s no truth to those statements. In 1993 Russo was looking to get an opportunity in the wrestling business and personally wrote a letter to Linda McMahon. He knew that there was a better chance that he’d hear back from Linda than if he wrote Vince. To Russo’s surprise, Linda actually oversaw the WWE Magazine at that time, and a week after sending her a letter he received a call from her. She gave him an opportunity doing freelance work for the WWE Magazine and the rest is history. Corbiel informs that Shawn Hernandez will not be returning to Impact Wrestling to join the re-formed LAX faction. It has already been reported that Homicide and Konnan will be a part of that group. Russo says that he did some work with the original LAX between 2006-08, and they’ll never truly be LAX without Hernandez.